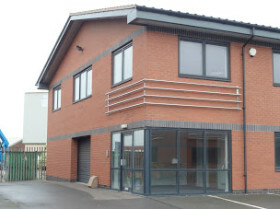 At SJ Joinery and Building we can offer a assist in the design and development of bespoke commercial property, or re-fit to the client specification existing commercial buildings. Whether your construction preference is steel, brick or wood we can be there for you from the design stage through to completion of the project to the client specification and satisfaction. If you need a commercial architect we can introduce you to a independent team of quality designers, all with a proven track record, to make sure nothing is left to chance and the project is professional from start to finish. Over the years we have built up a solid reputation of quality, skilled workmanship in the commercial and residential building sector. Through a wide range of skills and expertise projects are completed to high and award winning standard. This is just one of the areas we feel gives us the edge over any of our competitors. We are setting the standard of excellence in commercial construction here, we continue to work for better outcomes. Our work-sites are cleaner because we believe a clear site helps us perform better and conveys the professionalism of both our customers and ourselves. Moreover, we believe good communication between our customers and our project administrators is essential. We consider that building contractors and management companies need to maintain continuous contact with their customers so that they can reduce misunderstandings and make sure that work flows smoothly and in compliance with customer objectives. This is exactly the reason why we believe open communication is a must. It helps to make sure the job is always on track. We are dedicated to providing the highest level of service possible whatever the size of your project. 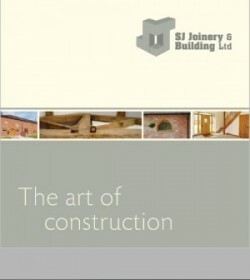 Whether you are planning on building a restaurant or retail unit. Remodelling an office, any additional building alterations, redesigning a hotel or clinic, perhaps developing leisure facilities or a business park. We’re ready and willing to assist. From the planning and design as well as the interior design, we are there each step of the way, ensuring the results match your exact requirements and are produced promptly as well as on budget. We offer services on time, detailed budget and provide the results that match your exact expectations without cutting corners or using substandard material. If you have any doubts call us today at 01538 724161.